Contracting – The Joy of Choice ! Women especially should look closer at contracting, contractor services expert says. Just a small lottery win, we tell ourselves, would mean the freedom to travel, to have hobbies, to happily care for aging parents or children, devote time to ourselves, and spend more time with family and friends. If only we could give up work! Yet, in reality, most of us grudgingly like our work and derive satisfaction from it. It’s just the constraints conventional work imposes on our lives that we resent. According to Jimmy Sheehan, Commercial Director at Contracting PLUS, Professional Contracting allows you choose the hours and location of work. The project or job doesn’t need to happen on the client premises. Often, you can work from home at self-appointed hours. 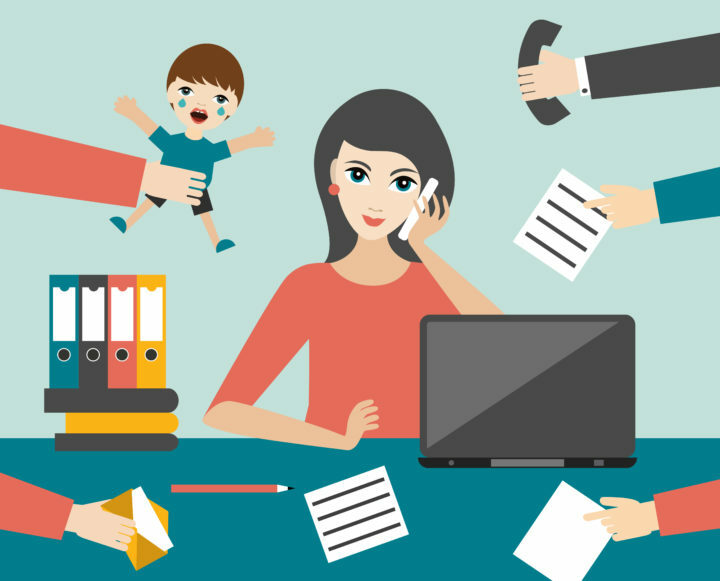 Last year the Council of the European Union published a new draft directive on work-life balance to make it easier for men and women to share parenting or caring for relatives while continuing to pursue a career. However, lengthy negotiations with the European Parliament, and the extent of businesses and organisations without the flexibility to accommodate lengthy leave periods, may mean that parents will have to make their own move towards a better work-life balance, rather than rely on employers. Now, with technology and the ability to measure work done and goals achieved, ‘presentism’, essentially being in the office from 9am until 5.30pm punctually, is no longer a requirement or particularly productive. Supporting, and even leading the way on accommodating the flexible workforce, is the way forward for Ireland. 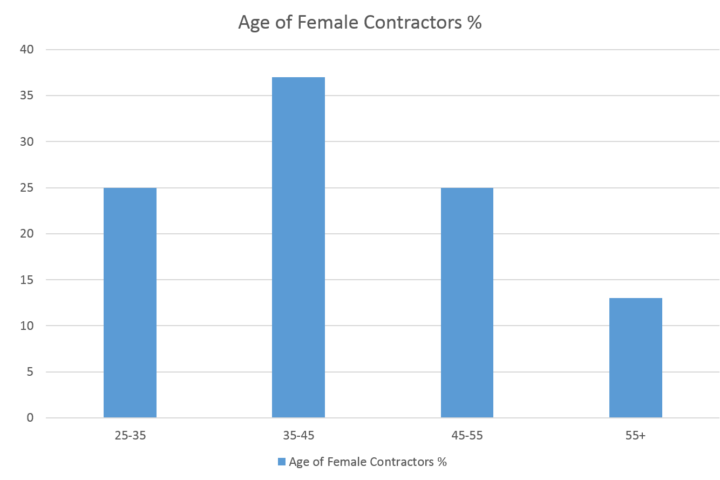 Currently, women account for just 27% of Ireland’s Independent Professional Contracting workforce. 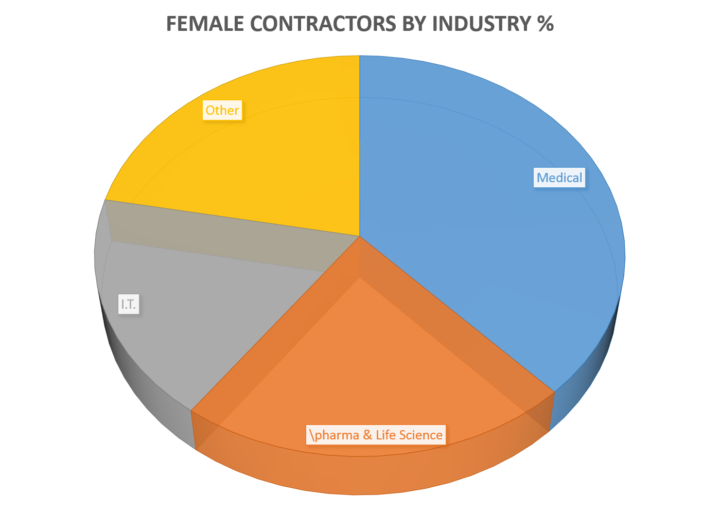 Having taken data from over 3,000 professional contractors, Contracting Plus noted that the top industries for female contractors are medical (38%), Pharma and Life Sciences (22%) and IT (18%). However, there are also opportunities in finance, project management and marketing consultancy. Your skill-set and the industry you operate in largely determine if your services can be contracted. Recruitment agencies specialising in contracting can advise on skills in demand and the likelihood of being able to line up contracts for when you want to work, and take off the time you don’t. Talking to a specialist business like Contracting PLUS can also help figure out the best solution, and the options to join thousands of successful career women contractors in Ireland. Talking to female contractors recently, the plus side for them, in a nutshell, is the ability to adapt work to their lives, instead of adapting their lives to work. Although there can be stress, this is significantly reduced with the ability to schedule work on days and times that suit. People generally feel more productive as a contractor, and make better use of time. Generally, people who are, or were, employees rarely consider contracting, the Contracting Plus experts say. It appears to lack security, something those with families particularly need. I’d argue that the security of ‘work’ is more important than the security of a ‘job’; actually building a network of contacts and portfolio of successful assignments, so you’ll never be out of work, Jimmy Sheehan says. “Many of us were brought up being told by parents to get the security of a job. But, when work dries up for an employer, or money is tight, the job is often under threat. Contractors’ work, however, is transferable and their skills take them on to the next suitable role”. Focussing on developing a specific skill-set, or unique knowledge that can be monetised, means a better chance of always having work, if not a steady job. As you continuously fine-tune your skill-set, working with multiple clients and gleaning new ideas and processes, you become more in demand. Equivalent annual salaries are generally higher in contracting, as there isn’t holiday pay, sick leave, pension contributions or other perks, and some social welfare benefits don’t apply However, with good advice and forward planning, these issues are easily overcome. Independent contractors claim costs like mobile phones and travel, reducing tax. A car is run cost-effectively through your own limited company, and buying an electric car currently means no additional benefit-in-kind (BIK) tax, so that’s a cost effective option. Essentially, you can plan work commitments to earn what you need, rather than working all hours to generously donate to Revenue at the top rate! If the life of a professional contractor sounds good, specialists like Contracting PLUS and recruitment agencies for contractors can advise on the options and practicalities. Contracting PLUS manages everything from the work contract, to the financial, legal and administrative inputs. Ensure the contractor agreement has a degree of flexibility. With repeat work, like publishing a monthly magazine, or phased work, like an IT infrastructure project, break it into a schedule that suits you, with the option to review at intervals. Specify the job functions covered by the contract, and include an hourly rate for any projects a client wants to add to your responsibilities. Take advice on legal protection. As a contractor you can be held responsible if something goes wrong on the job, so look at the protections of a limited liability company and check out public liability or other trade cover specific to your line of work. Keep good records of income, spending and client invoicing, so you can identify taxable income, VAT obligations and tax write-offs. Define boundaries for work. Get an office space and keep track of the time you’re in it. Especially if working from home, take regular breaks and complete days off – all work and no play does not a happy contractor make! To learn more about setting yourself up as a Professional Contractor, Contact Contracting PLUS 1800 545422.